This is my first French Friday post and with it I present one of my first 1/43 acquisitions. After a few auctions lost or missed because of evening work, I was getting desperate to get my hands on something, anything 1/43 scale (LeMans related). I got a couple other things from the same seller, but that’s later. I’m also playing around with a new to me auxiliary lens for my wife’s Nikon. 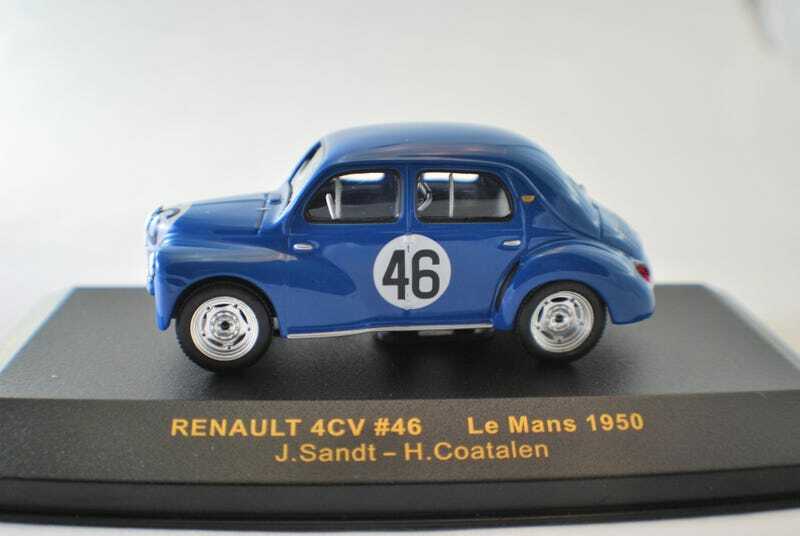 Onto the car, a Renault 4CV driven at the Le Mans 1950 race, placed 1st in S1100 class and 24th overall. Oh, and my set up today, still trying different things.